By honoring our commitment to be the very best in delivering quality education that matches professionals needs, the world-class doctoral program in management is continuously pursuing excellence in research by combining science, best practices, and leverage of ICT. A doctoral degree is necessary to lead and manage businesses smartly, as we cannot rely any longer on intuition alone or even with available cases and examples, because the business playing field or ‘battleground’ has changed. To be able to compete effectively, one needs to be always better than the competition. 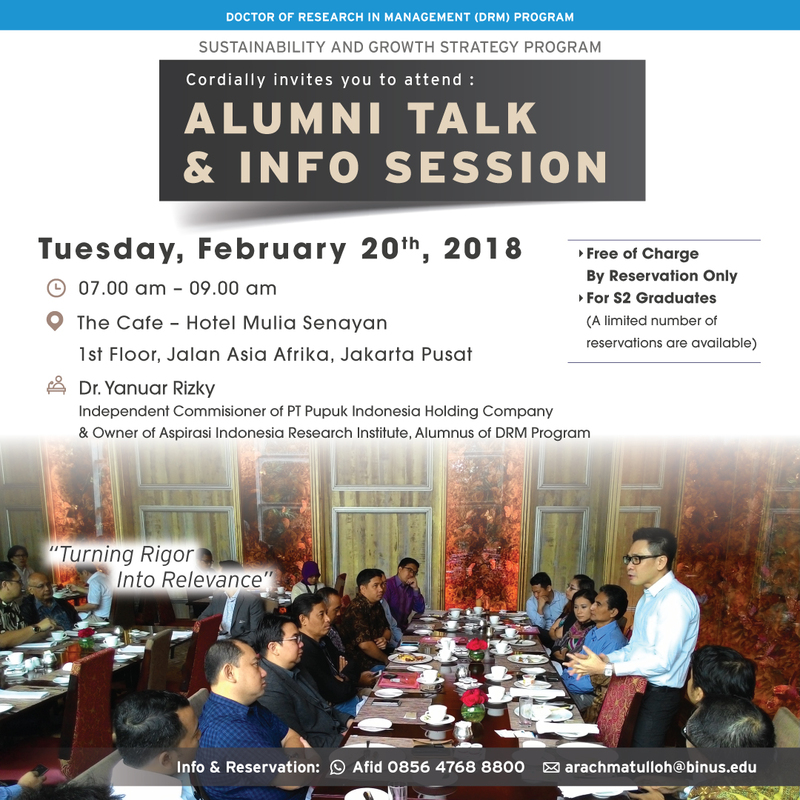 We are hoping you will take some time to come to the Alumni Talk and Information Session on February 20, 2018. Please register if you are planning to attend please click button below. If you have any further questions, please do let us know.